Even as cyberattacks have evolved, phishing remains the number one threat delivery tactic. Why? Because it’s effective. That’s the bad news. 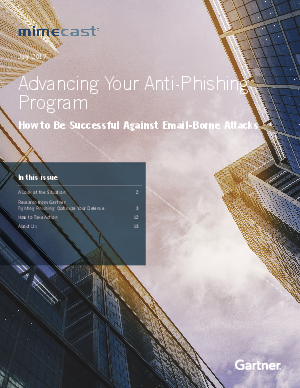 The good news is, your organization can effectively defend against phishing attempts with the right program in place. You can stand in the way of the abuse of your most mission-critical communications app. There are six key areas to consider. Read this Gartner research note, Fighting Phishing: Optimize Your Defense, to advance your anti-phishing program.